The world has already embarked upon a new year. 2018 is in the books, and 2019 is a story waiting to be written. We have a full year of opportunities and responsibilities ahead of us. So how will we use it? Here are some helpful tips to keep in mind while we’re identifying our goals for the new year. Start Planning. The apostle Paul gives us an example of this in Philippians 3:12-14 when he talks about forgetting what lies behind and striving ahead. Forgetting the past doesn’t mean dismissing it as irrelevant—both success and failure can be valuable teachers. We can’t rest on our laurels or allow past mistakes to dictate our future. Further, we have to keep our eyes forward, like a runner in a race. An athlete doesn’t take time to focus on the scenery or look at other runners. He or she focuses on the finish line. We Can Do Great Things. Greatness is within reach of every human being because true greatness is not competitive, but cooperative. The world says we have to outdo, outperform, and outshine everyone else in our pursuit of excellence. The biblical examples of greatness include things like the humility of John the Baptist, the tenacity of Paul, and the servanthood of Christ. Anyone can be dedicated, charitable, loving, and faithful. These are the true signs of greatness in life. New Beginnings Don’t Come Once a Year. We often make New Year’s resolutions but are less adept at keeping them. 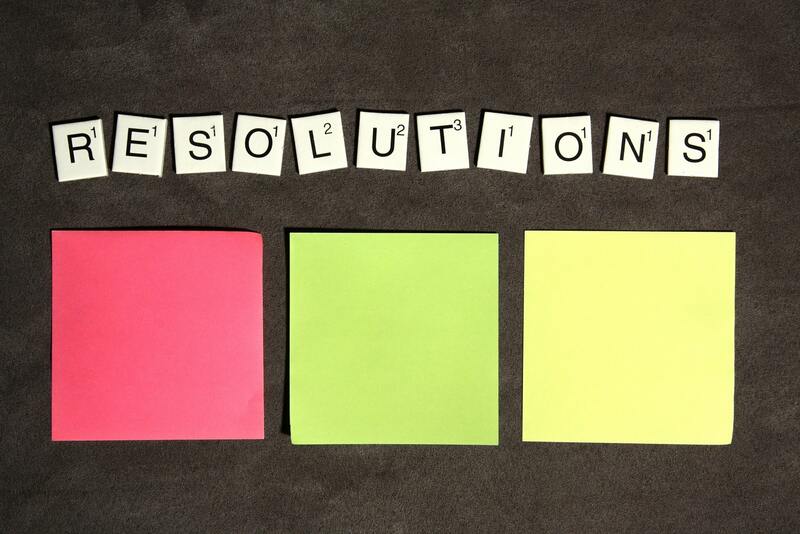 Statistics suggest that as many as 80% of New Year’s resolutions are broken or abandoned by February. The problem is, we get into a habit of accepting failure and resigning ourselves to waiting until the next January to make new resolutions. We have to realize that failure is a part of life. The real test is not whether we fail, but how we respond to it. Give up, or get back up? That choice is ours. God is a God of new beginnings. There are times when we all need a fresh start, and this time of year is a reminder that sometimes we need a clean slate. What are you going to do with it in 2019?